There are many things taking place around IHOP-KC, year round. This page serves to inform you about some of the upcoming events with concise and clear information. For many people, attending an Internship (3-6 months), one of the four schools in our University (1-4 years) or spending some of your summer months here at IHOP-KC is not a reality. This is why we have created the Immerse experience. 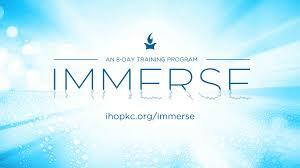 The Immerse experience is a once a month 8 day immersion into the life of IHOPKC. 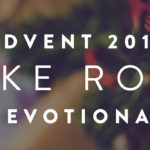 The Immerse experience’s are themed around various topics including Sermon on The Mount Living, Building The House Prayer, Understanding Israel, The Church in the End Times, Passion for Jesus, the Father’s Heart and more. At each Immerse experience you will hear from some of IHOPKC’s most beloved teachers and preachers. They aremen and women who have given themselves to God, His word, fellowshipping with Holy Spirit and serving the greater body of Christ. You will not be disappointed for setting aside these 8 days for encounter in Christ and with others. There are currently 9 more Immerse events taking place in 2014. The upcoming dates and themes are March 15th-22nd (The Forerunner Ministry in the End Times), April 12th-19th (Foundations of Night and Day Prayer), May 17th-24th (Encountering Jesus in the Song of Songs), June 14th-21st (Worship Workshop), July 5th-12th (Restoring The Heart of the Family), August 16th-23rd (Foundations of Night and Day Prayer), September 6th-13th (Intersession That Changes History), October 11th-18th (Building The House of Prayer), November 1st-8th (Harp and Bowl Prophetic Worship) and November 29th-December 6th (Jesus, Bridegroom, King and Judge). Here at the Immerse web-site you will find a plethora of information related to attending one of these weeks, including hotels, weekly schedule, registration and much more. All the information you will need is located HERE. The International House of Prayer hosts 4 national conferences a year including, Passion for Jesus, Israel and The End Times, Prayer and Prophetic and Onething. These conferences draw thousands from all over the world that are hungry to Encounter God and Do His Works. This year’s Passion for Jesus Conference is taking place Thursday April 23rd-Satruday night April 25th. There are a total of 8 services with speakers Mike Bickle, Allen Hood, Misty Edwards and others. The IHOPKC worship leaders carry the entirety of the services as well. The purpose of this conference is to both call and the strengthen the Church around the world to put the first commandment into first place. It’s clear that the Holy Spirit is committed to raising up a people that love Jesus in the way that Jesus loves them and that loves others in the way that Jesus loves others. If you would like more information bout this upcoming conference you can get it HERE. One of the central themes throughout both the Old and New Testaments is the salvation and restoration of the nation of Israel. At IHOPKC God has given us a mandate to both pray for and talk about God’s plans for the nation of Israel. This year starting on Thursday June 11th-Saturday June 13th we will host a giant international conference centered around this very topic. 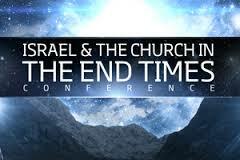 The speakers include Mike Bickle, Wes Hall, Allen Hood, Misty Edwards and others. These services are a mixture of sober teaching, eye opening revelation and practical preaching about how to partner with the heart of God related to this glorious people that are so near and dear to Jesus’ heart and central to His activity at the end of this age. If you would like more information about this conference you can click HERE.